Check out our bug-tastic interview with M G Leonard! 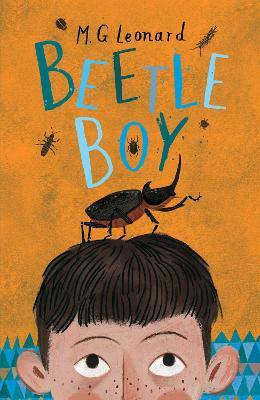 M G Leonard tells us all about her brand new book, Beetle Boy. Watch our interview to find out more about the adventures of Darkus and Baxter and to discover some truly amazing beetle facts! Winter Mini Challenge: There's a Yeti in the Playground! Poetry Reading Club: great summer poetry reading! Poetry Reading Club: a tasty new read! Poetry Reading Club: What’s on the CLiPPA? Welcome to our new Poetry Reading Club!